This is really top league. 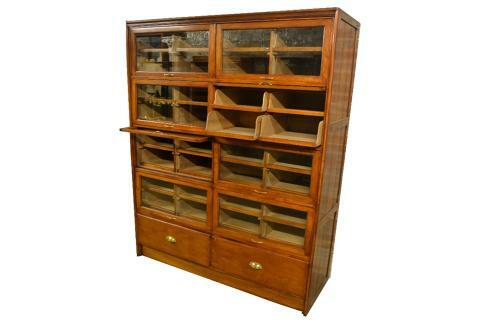 Made of reclaimed English walnut, and is an exact copy of a 1920s original. Doors lift up and over, giving you access to the 32 trays. Absolutely tons of storage space. Originally made for shirts and various clothes. Also have similar in mahogany.